Hong Kong's Wan Chai used to be an area frequently by seaman looking for a good time but now the historic district is an eclectic mix of traditional shops, boutique hotels and some very good restaurants. 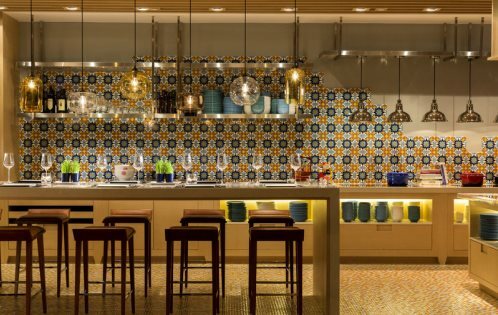 We asked the concierge of one of the area's starriest boutique hotels, the newly opened Hotel Indigo Hong Kong to give us the gourmet tour. And while they are far too modest to mention it ,we'd like to add that Hotel Indigo's very own Café Post on the 2nd floor serves some of the best coffee in Wan Chai. 22 Ships offers an eclectic menu of modern Spanish tapas created by Michelin Star Chef Jason Atherton of Pollen Street Social fame - a protégé of Ferran Adrià and Gordon Ramsay. 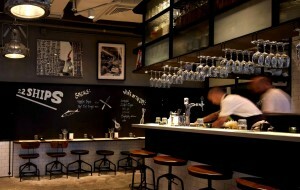 All tapas served in a buzzy yet relaxed setting, and a dynamic list of wines, spirits and Spanish beers. This no-reservation & no-service charge tapas bar offers diners an opportunity to experience some great food in an intimate setting. Get in early to avoid the queues. Assaggio means 'small bites' in Italian. This great trattoria serves up delicious Italian with extra bite! Delicious Italian delicacies in a friendly and buoyant lifestyle setting. We all have to try Hong Kong dim sum. And just around the corner is one of Hong Kong?s finest. Delicious dim sum is available everyday with special varieties on the weekend. Mix with celebrities and tycoons in this four-storey labyrinth that offers diners an over the top luxurious setting ... and more importantly sublime dim sum. Note, best to wear pants with an elastic waist. With contemporary and minimalist decoration, renowned Sushi chef Matshima Tatsuhiko presents you some of Hong Kong?s hippest Japanese cuisine; from traditional sashimi & sushi to the more adventurous chicken Sashimi, as well as delicious grilled yakatorri and Japanese Nobe hotpots. Bling. Bling. Bling. As soon as you enter this glamorous dining room at Jardin de Jade your expectations for the food skyrocket. The grand double-height ceilings and neo-Vegas-esque décor serve to remind you of the fame of this restaurant?s sister eatery in Shanghai and Macau. The menu is regional Chinese with an emphasis on Shanghainese cuisine. 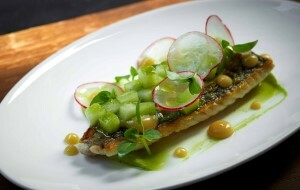 French cuisine at its finest, without the exuberant price tag! Great service, amazing food. It's almost like dining at your grandmothers in this eclectic intimate dining environment - You need to experience the flavour and charm of this southern French classic. One of the recommend restaurants in Michelin Guide, pickled turnips (appetiser dish) and handmade duck noodles are the signature dishes. Noodle with bean sauces and Dumplings with soup are also highly recommended. 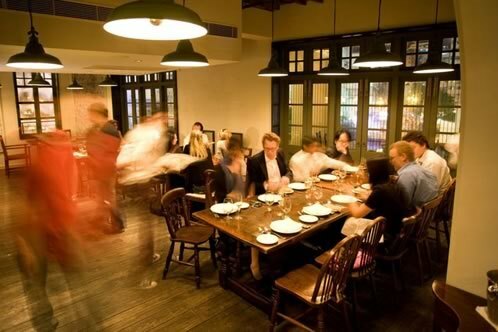 Housed in a heritage building that was built in the early 1900's as a pawn shop, this funky relaxed gastronomic pub changed the Hong Kong dining scene when it opened, featuring British dishes with a twist and a great drinks menu! Not just for the sweet tooth. An inspirational showcase of sweet dishes with a spicy Sichuan touch! Featuring a striking design by the architect-owners, celebrity chef Jacky Yu, Xi Yan Sweets extends the concept of east-west fusion cuisine, combining eclecticism with a touch of cross-cuisine imagination. Located under Hotel Indigo Rainbow Chinese Cuisine Restaurant is a traditional restaurant serving up some of the best local Cantonese cuisine in Wan Chai and barbecued pork to die for. Peking-style Chinese restaurant which has been around for more than 40 years in Hong Kong. The restaurant name was designed to attract American GIs. Some say the food is Western Chinatown fare, but others love their Peking duck and beggar chicken. Helmed by local food personality Hugo Leung, Tai Wing Wah combines the best in rustic village cuisine with surprisingly friendly service and restrained décor. The restaurant provides Dim Sum in the morning and afternoons; with more than 100 dishes of Yuen Long Village and Cantonese Cuisine for your selection during the dinner period. Our recommendation - the local village meal, rice cooked the village way. BBQ meats for everyone. If you love BBQ then this is the place for you - Pork, Chicken, Goose... definitely go down as one of your local favourites.